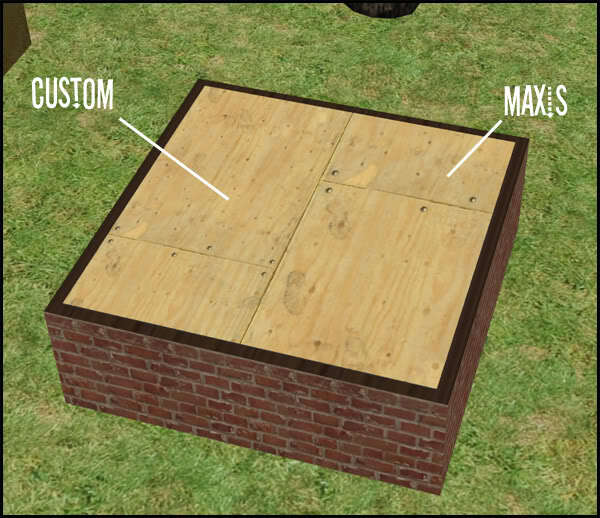 This plywood floor comes in two versions: free, as the original buyable or cheap ($1 per tile,) and out of $4 for a foundation block, $1 seems fair value for the wood. Both versions can be used at the same time. Glass blocks! 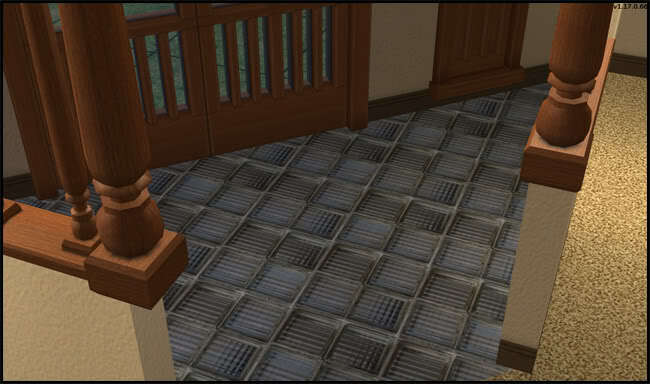 Yes, Maxis included a photo-realistic texture, and yes, it was marked as a floor. This is slightly edited from the image as it comes out of the game files; Maxis' image has two blocks, cloned to make four, but right on top of each other, which would've resulted in very obvious tiling stripes. It will probably also make a better illusion if you have the OFB room divider fences, but in a small enclosed room, it should be fine. I sooo never saw this before. But now I did, and I thank you, Lee, for finding this. And thanks go to CoD as well, for sharing. Wonderful! BoilingOil;12318 Wrote: I sooo never saw this before. But now I did, and I thank you, Lee, for finding this. And thanks go to CoD as well, for sharing. Wonderful! Yea, the glass blocks are actually my fave, but the plywood floor works well too.